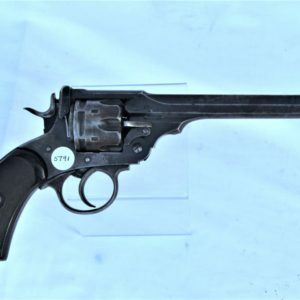 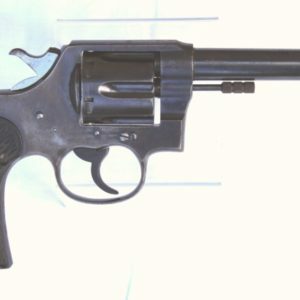 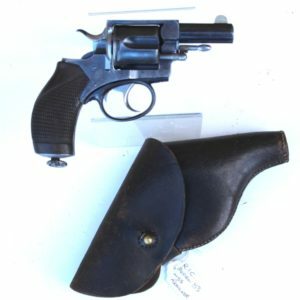 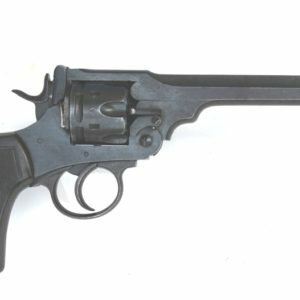 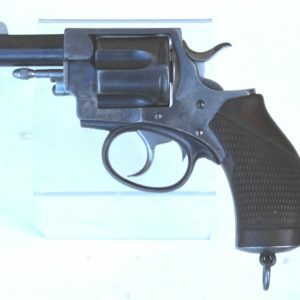 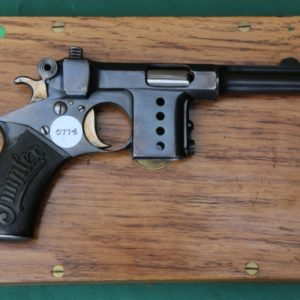 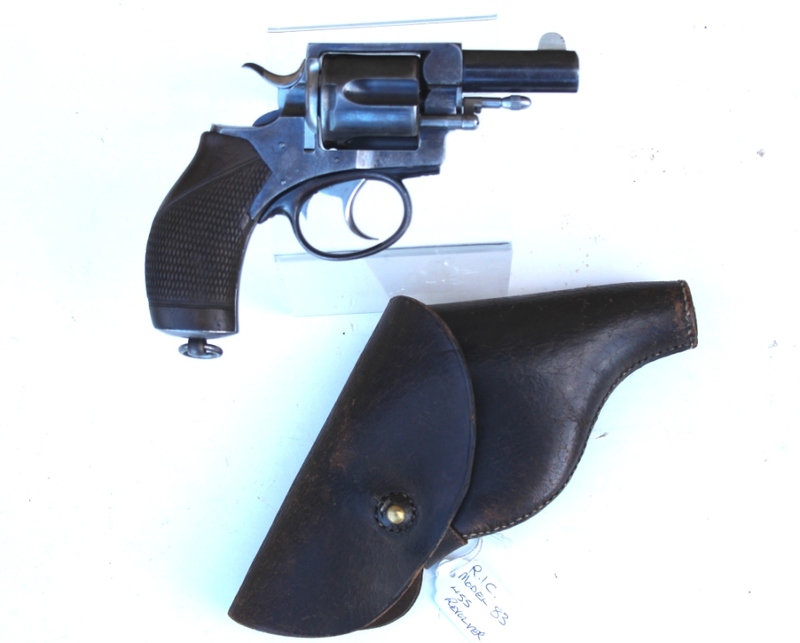 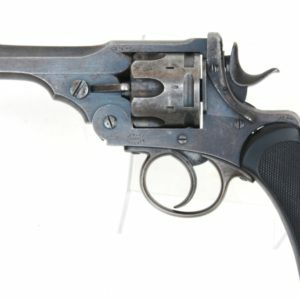 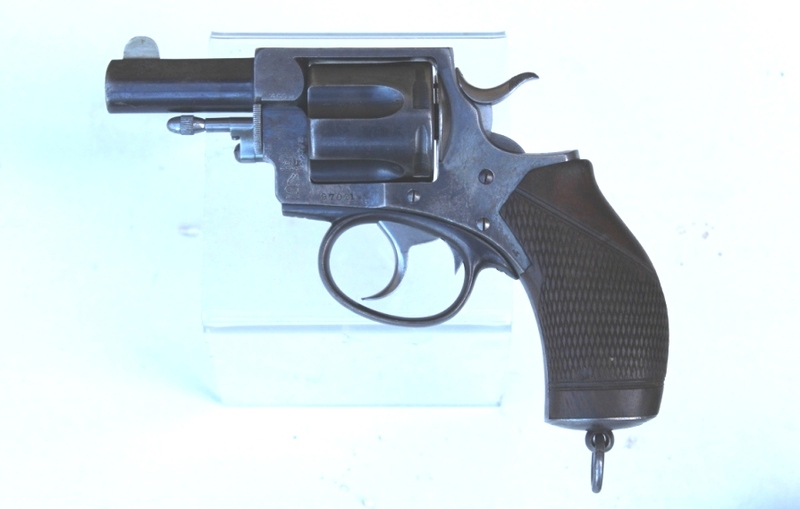 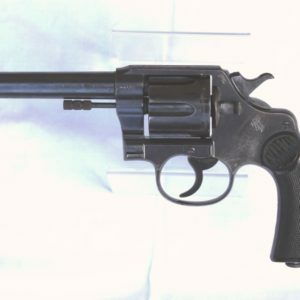 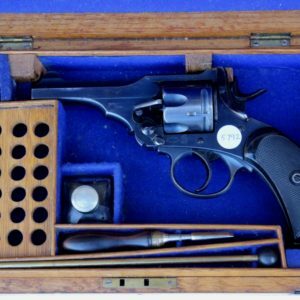 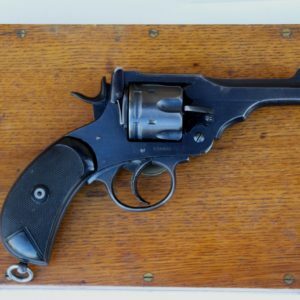 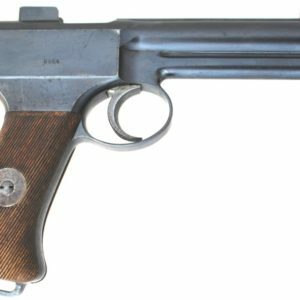 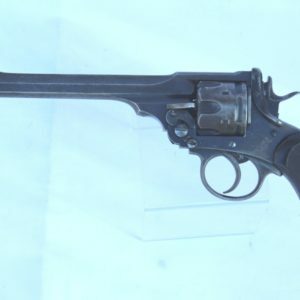 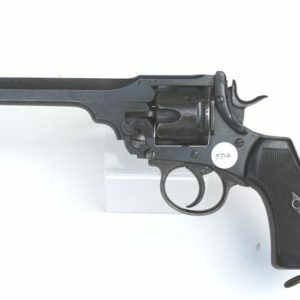 .455 Webley M1883 RIC 5 Shot Revolver marked to P Webley & Sons, no 97***. 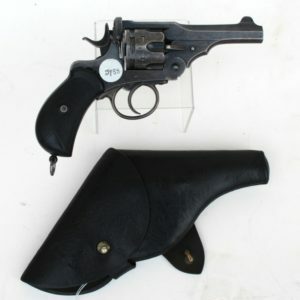 Birmingham Commercial Proof Marks with 2 inch barrel in its contemporary leather flapped holster. 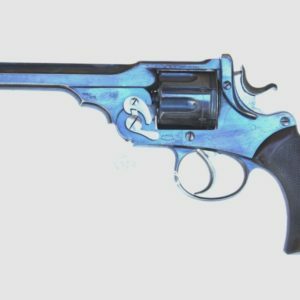 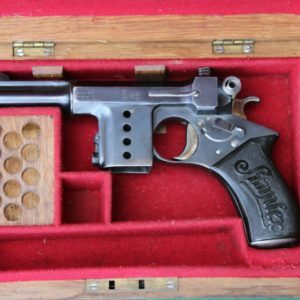 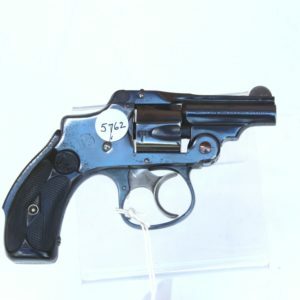 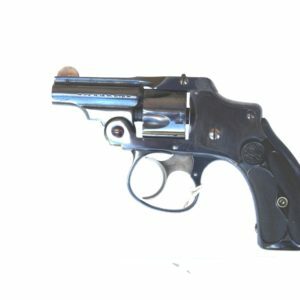 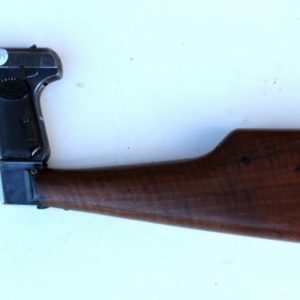 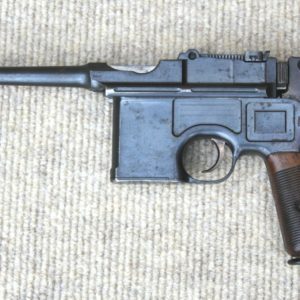 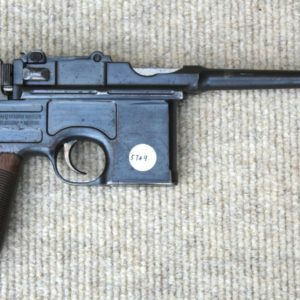 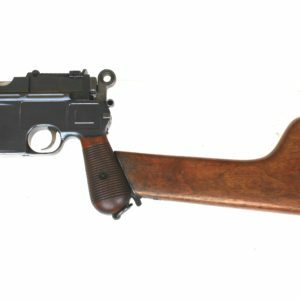 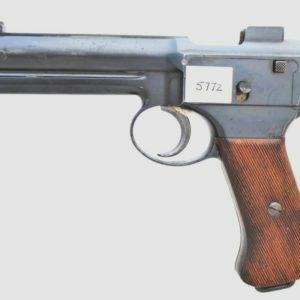 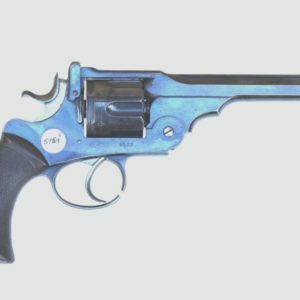 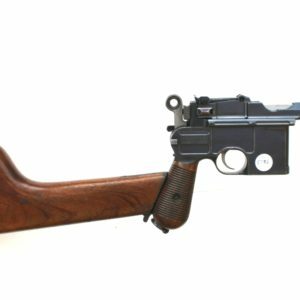 Condition: the pistol retains some 80%+ blue finish to barrel and cylinder and 70% of its finish to the frame with no rust marks present. 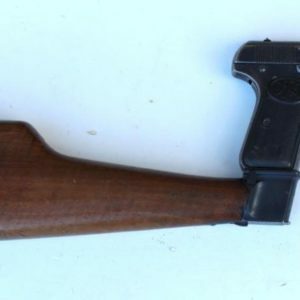 The grips are clean with small blemishes, the checkering is intact.